"Alkistis is a cross between Aristotle and Jackie Kennedy. She integrates both class and wisdom in a unique way." ​I’ve worked with thousands of highly successful managers and entrepreneurs over the past 20 years, and I noticed a pattern emerging: The mere act of chasing more achievement, success, money, and conventional definitions of happiness is not delivering the fulfillment that many are searching for. My seminars in Greece are designed to help you answer those questions NOW. ​Join me for 4 days in the mythical land of Attica, Greece where the foundations of civilization, culture and philosophy were born. Here, I will take you on a journey to examine your life, discover your inner power and fulfillment, through the perspective of Greek philosophy. This 4- day group seminar (group-coaching) program is designed to challenge your current beliefs, assumptions, and mindset about how you have defined fulfillment and success up until now. ​Come to Greece to TAKE CHARGE OF YOUR LIFE ! 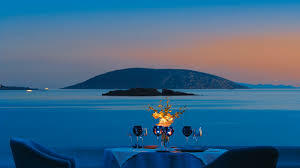 ​ Athens, Hilton spa hotel. 18:00 Welcome drinks, announcements about program. 19:00 Dr. Alkistis Agio, presentation: "Finding Authentic Happiness & Success Through Greek Philosophy & Modern Coaching Methods". Module 1 "ETHOS" WHAT ARE MY CORE VALUES? Align your personal Ethos with your career path. Gain a greater vision of your life as a whole, to include all that matters to you​​​ long-term. 10:00 Walking tour to Temple of Goddess of Wisdom - Athena (Minerva in Latin) (i.e. The Parthenon) with a "ceremony", where each person receives a complimentary (gold-plated) pendant, symbolizing Ethos, Pathos, Logos. Designed by Dr. Alkistis Agio (market value $150). 20:00 Unique dining experience with a Ancient Gourmet Tastes, (Included in cost.) at the Agiorgiti historical residence (including private tour of the residence. The meal will also entail a "symposium" about Self-Leadership & Greek Philosophy, with special focus on the theme of 'Life Purpose'. Define your 'What?' & 'Why?' you want to do. Discover your unique abilities and potential - beyond your professional CV or profile. ​Formulate a strong Personal Mission Statement that underpins your career path. 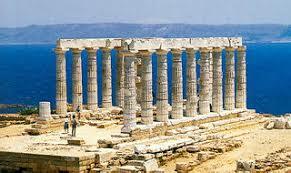 10:30 Day trip in luxury mini-van to the Temple of Poseidon with mediated discussion & workshop-type exercises. Design a smart Personal Mission statement, with a strategy in real-world terms. Define how your purpose will be reflected and adapted to your life & work. Commit to the new, upgraded version of you through a powerful pledge in front of the group. 17:00 Relax in the afternoon, at private sea-side private residence at the Athens Riviera in Lagonissi to enjoy Sounion sunset. which no one else can do." * Including transfers from airport.